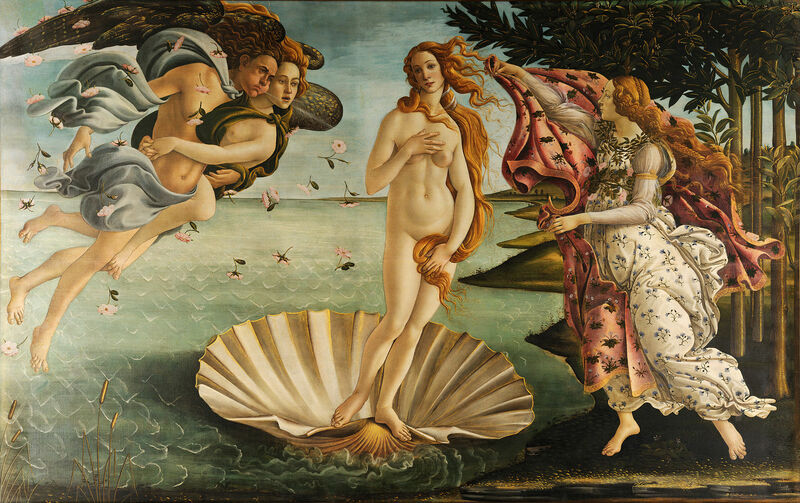 (thank you Bottichelli and Metsys); then, on Thursdays we’ll view the human body cut open, organs removed and replaced, invisible stitches making all whole again. 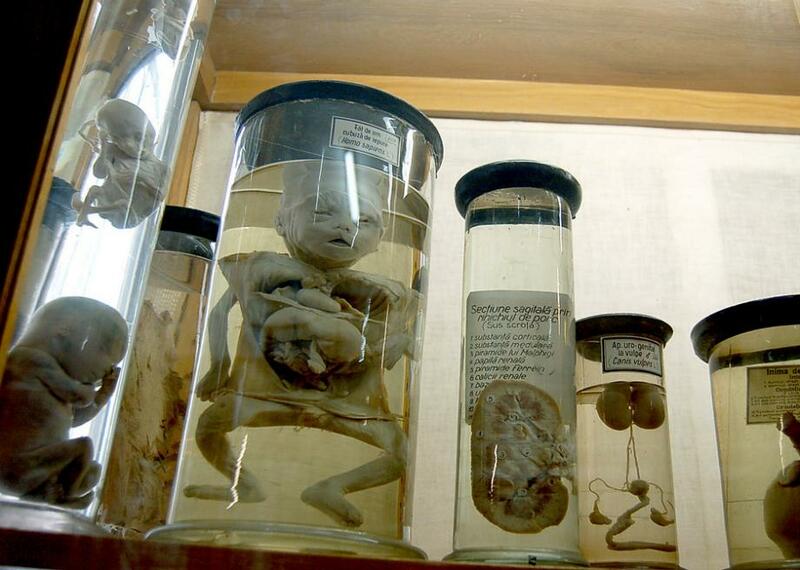 Once and a while on a weekend, we’ll take a peek at glass jars. Which means we’ll have something to say about Rembrandt’s The Anatomy Lesson of Dr. Nicolaes Tulp. 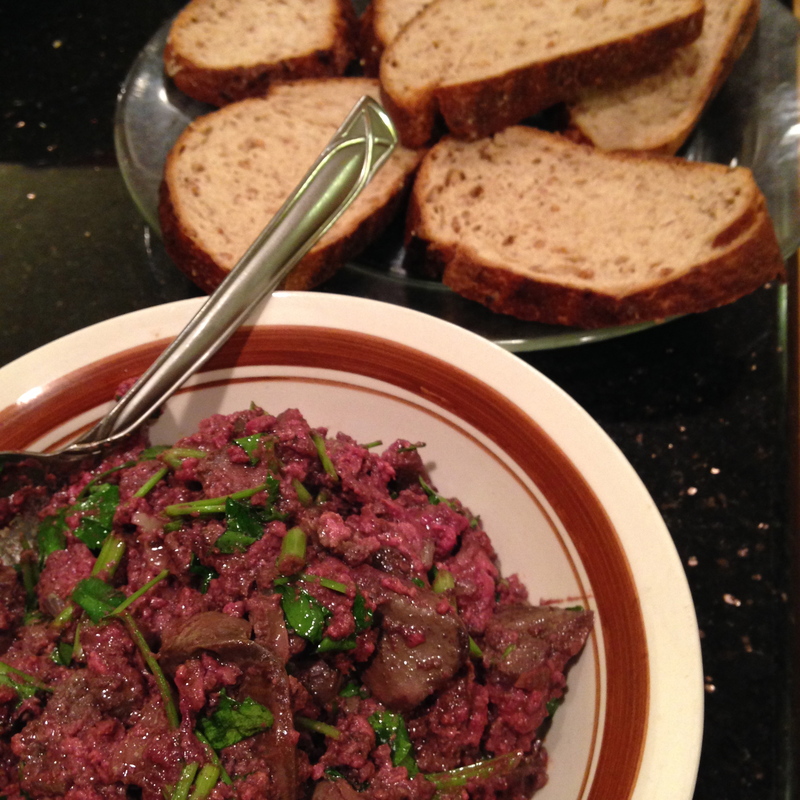 For now though, let’s look at what started all these thoughts: a plate of chicken livers. 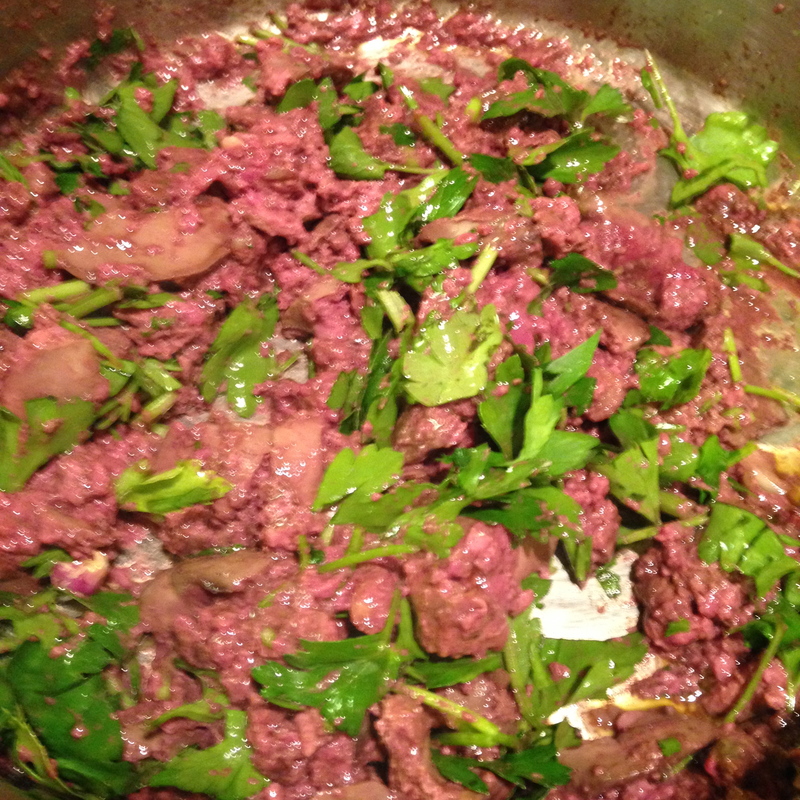 There’s something about the look of chicken livers that reminds of the human body inside out. Google chicken liver and you find recipes; google human liver and you don’t. What does the Larousse Gastronomique tell us about liver? 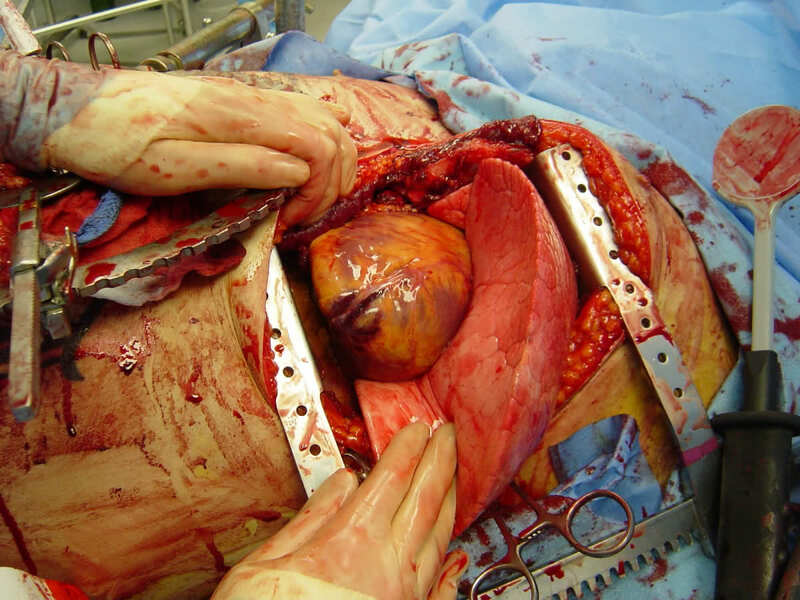 Liver. 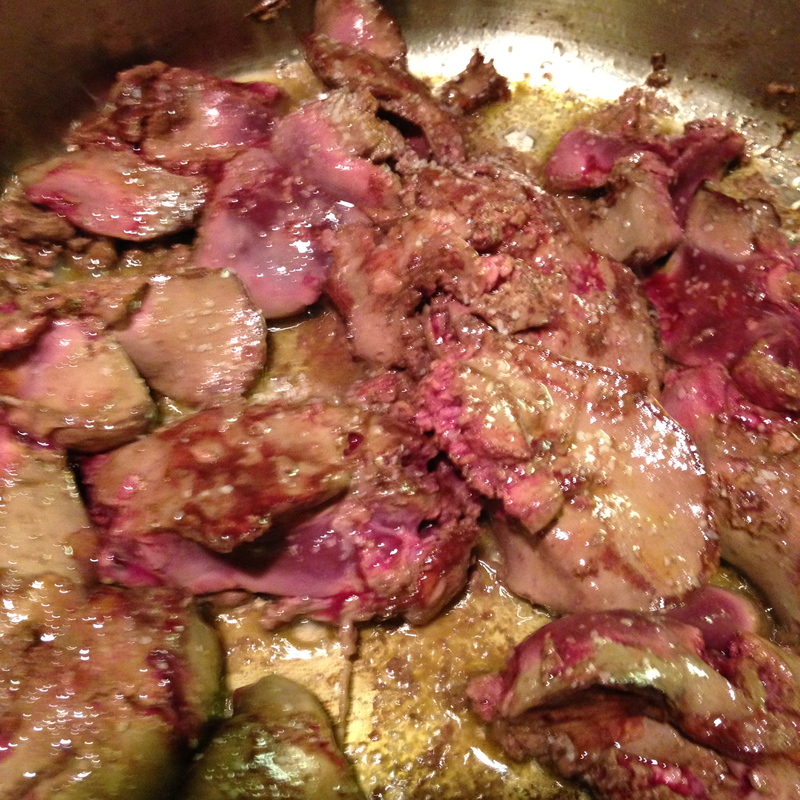 Foie–The liver is the largest and most important of the glands attached to the digestive organs. The livers of slaughtered animals, poultry and game are used in cookery, as are also those of one or two fish, such as the turbot and skate. The liver is the biochemical powerhouse of the animal body. Most of the nutrients that the body absorbs from food go here and are either stored or processed for distribution to other organs. All this work takes a lot of energy, and this is why the liver is dark red with fat-burning mitochondria and their cytochrome pigments. It also requires direct access of the liver cells to the blood, and accordingly there is very little connective tissue between the minute hexagonal columns of cells. 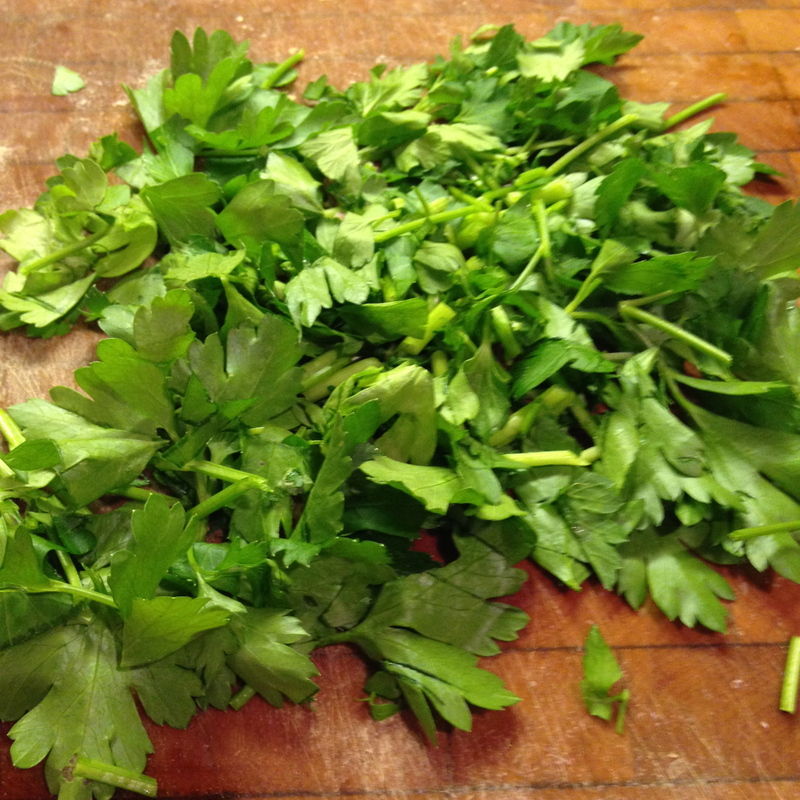 It’s a delicate organ that is best briefly cooked; long cooking simply dries it out. The characteristic flavor of liver has been little investigated, but seems to depend importantly on sulfur compounds (thiazoles and thiazolines), and gets stronger with prolonged cooking. Generally, both flavor and texture coarsen with age. 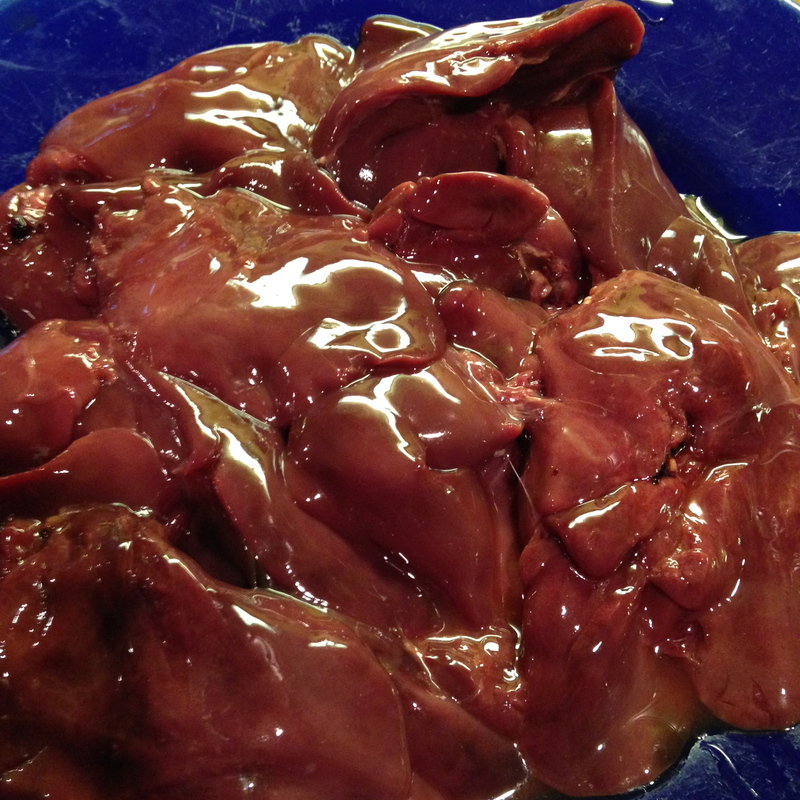 The occasionally milky appearance of chicken livers is due to an unusual but harmless accumulation of fat, above double the amount in a normal red liver (8% instead of 4%). Notice how seamlessly McGee also moves from discussing the workings of the liver and it’s medico-scientific attributes to its qualities for cuisine. My previous post on bones pointed out the connection between death and life in our cooking, and here we have the connection between our own bodies and the bodies we cook and devour. 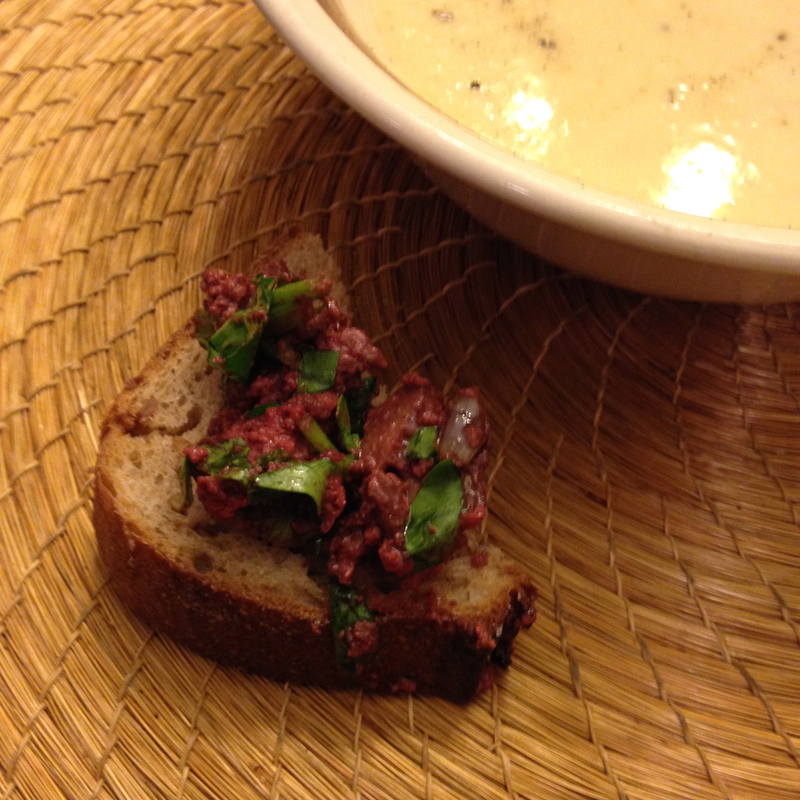 Speaking of devouring, let’s move onto my rendition of April Bloomfield’s recipe Chopped Chicken Liver on Toast from her wonderful recipe and story book A Girl and Her Pig. A staple at The Spotted Pig, this creamy, still slightly chunky mash of lovely, iron-y livers on toast makes a fine snack, but it’s substantial enough to hold you while you wait for a friend or a table. Just the thing, too, with a glass of wine. Oh yes, let’s begin. 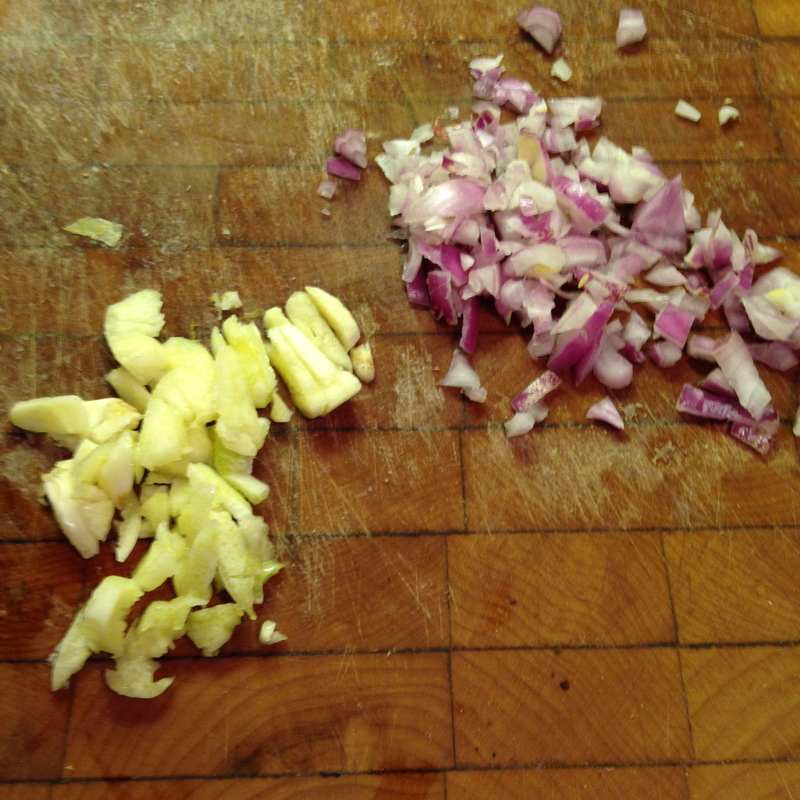 I slice shallots and garlic. 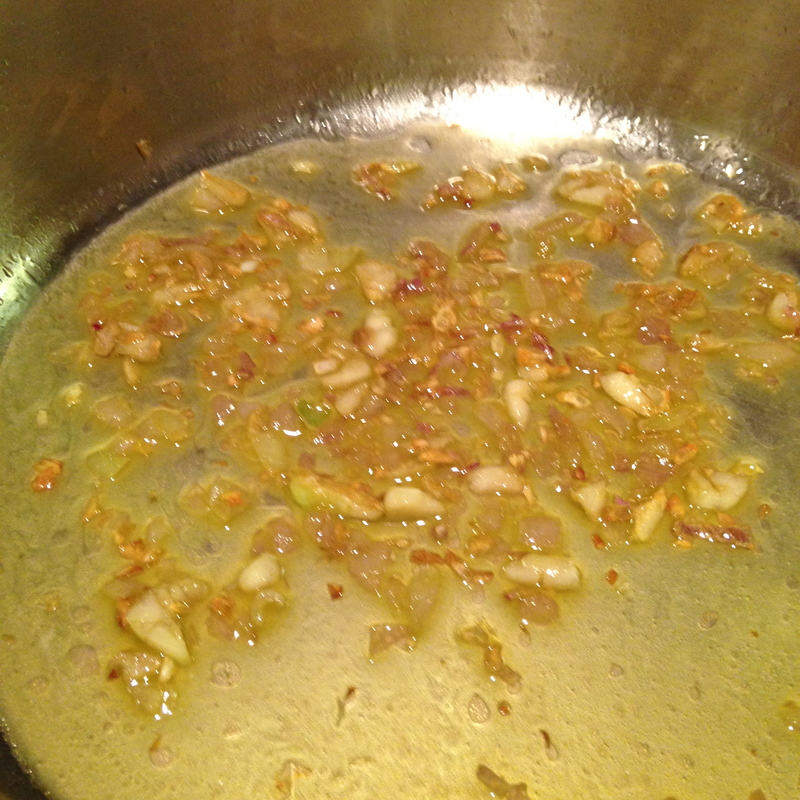 Then place in bubbling olive oil. After they’ve been in the cauldron for a breath, I take the heat down to medium and sweat until gold. 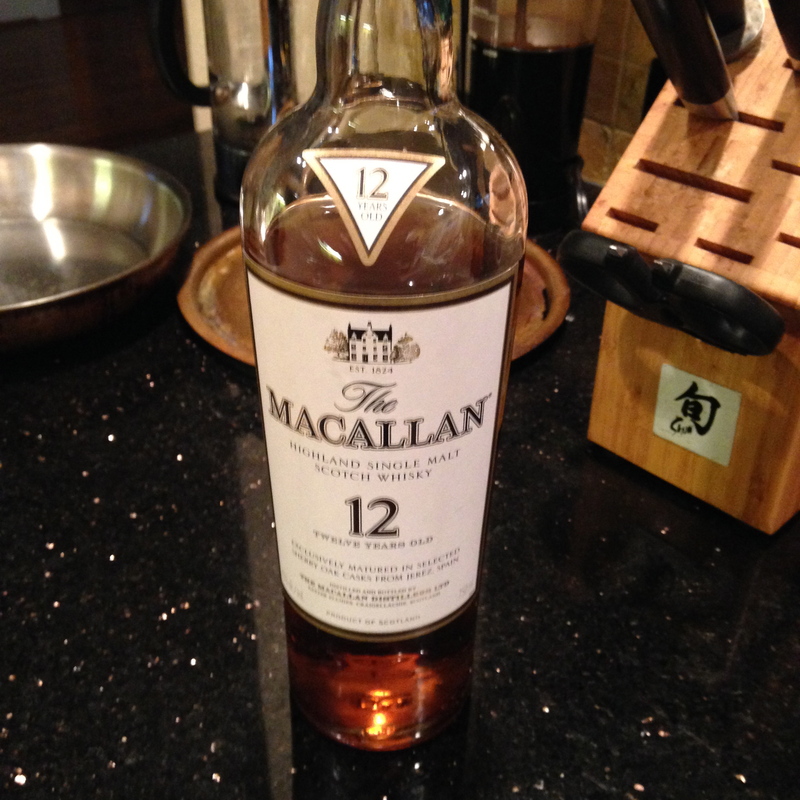 Bloomfield in her recipe calls for Madeira and port, but I’m a Scotch man, so I’ll substitute The Macallan 12; after all, it’s been aged in sherry oak casks. As you can see, gold has been achieved and that wonderful Speyside Scotch added. 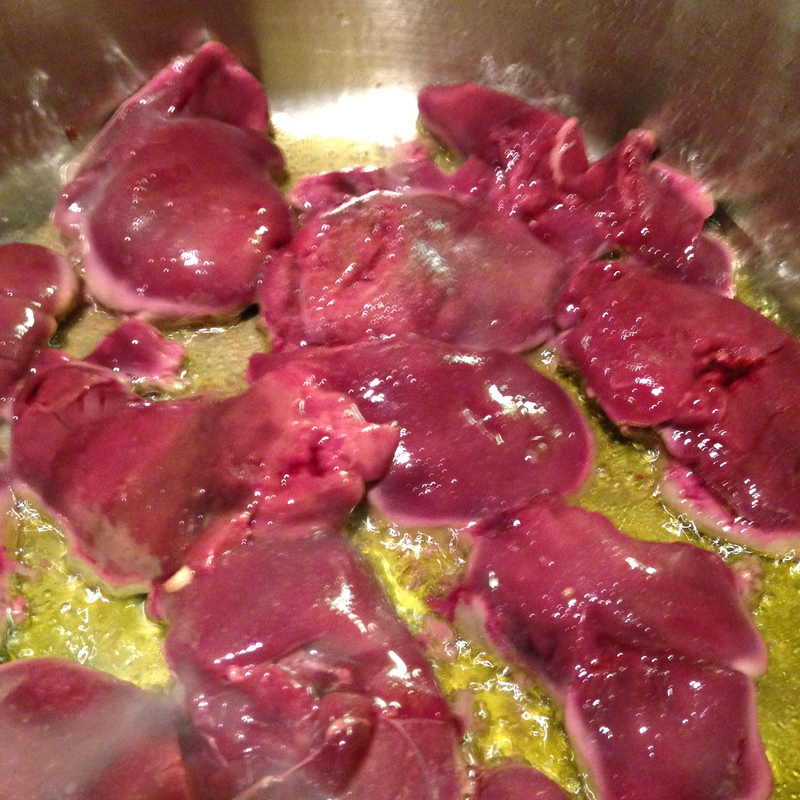 Ah, look at them again, the chicken livers. Something about the livers globbed together has me thinking of old maps. 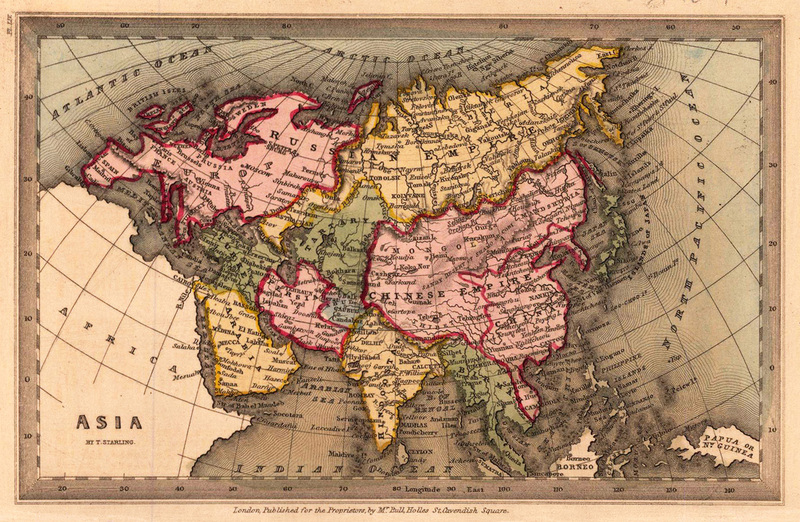 Maybe this 1833 map with the Chinese Empire, Persia and Europe as the livers. Or maybe this 1865 map. Here part of Russia, Outer Mongolia, Hindustan and Turkey serve as the livers. Either way, it’s time to blot the little red globs. 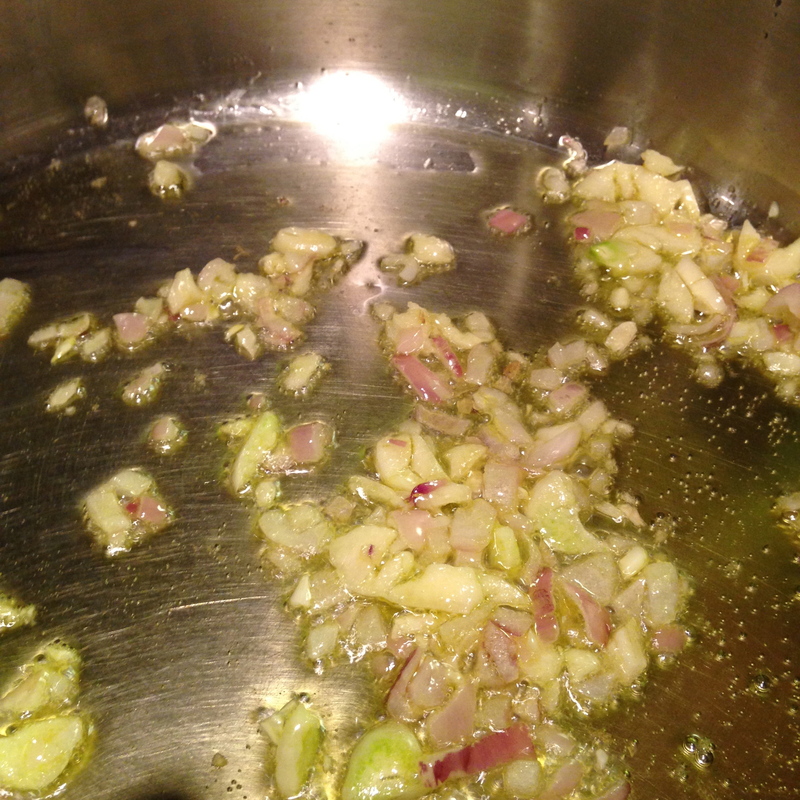 I’ve set aside the shallot/garlic/Macallan mix, wiped the pan, and now it’s time for fresh smoking olive oil and the livers. Ah, look at them turn a golden brown. Cook the livers just until they feel bouncy, like little balloons . . . .
which I then add to the now mashed liver (off the heat), tossing and turning with salt and pepper. Here they are presented with toast. This follows the roasted bison bone marrow with parsley salad from a few days back. 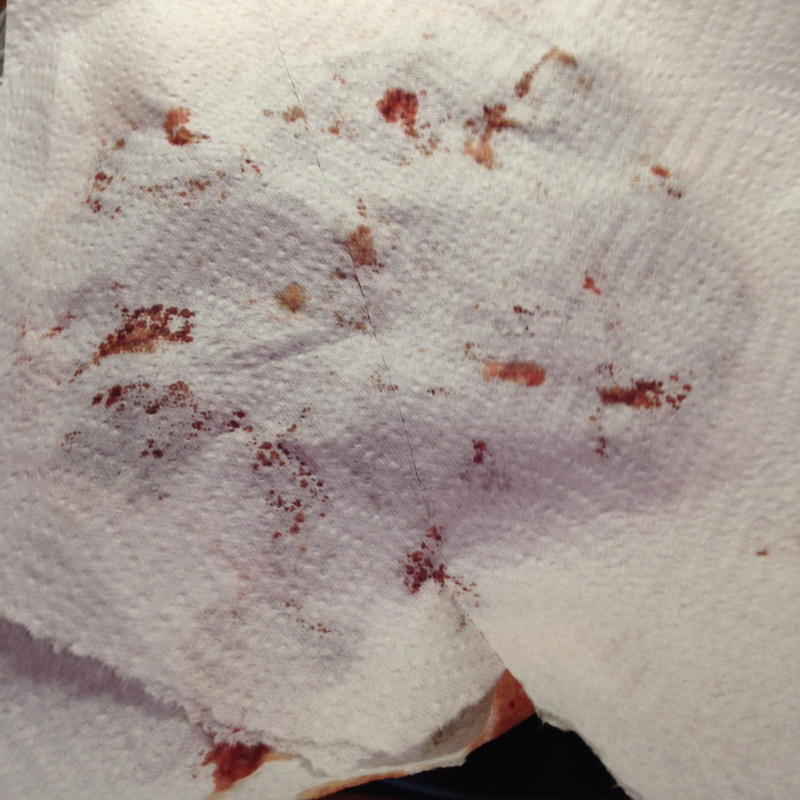 Bone to blood. 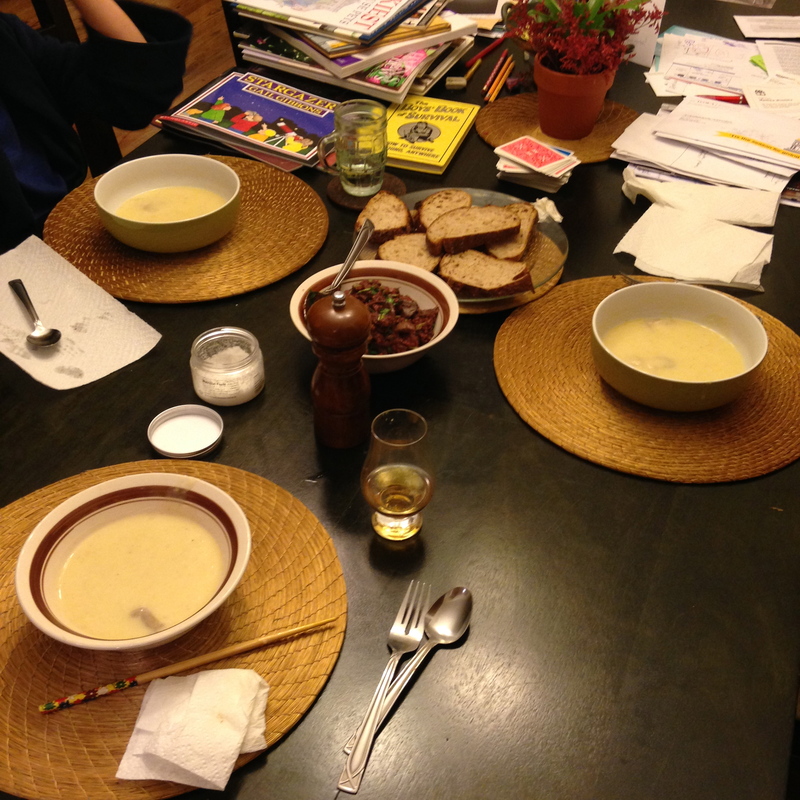 Back to the dining room table where we are ready to eat. What’s that yellow liquid in the bowl? 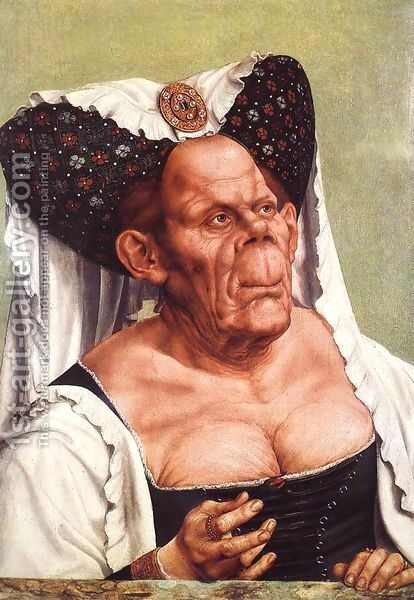 That’s for the next post. Previous Previous post: What Happens When A Dead Roman Cook Meets A Dead Gulf Coast Red Snapper? Let’s Find Out. Happy New Year!